ROGERS. Veola O. Rogers, of Bloomfield, beloved wife of the late Owen Rogers, Jr. died peacefully at home Tuesday, (May 16, 2006). Daughter of the late Ernest & Hudie Rosemond; mother of Rhonda Goff; grandmother of Tianca C. Mayfield; great grandmother of Cambrayah O.A. Johnson all of Euless, TX; sister of Barbara (Thomas) Jenkins of West Hartford, Bruxy (Willie) Simmons of Truman, AR and predeceased by her sister Pauline R. Bell; four nieces, Dianna Evans, Amelia Bell, Maxine (Thomas) Holloway and Serita Bell, three nephews, Welton Wright, Jr., Marvin Bell, and Donald Bell all of Pontiac, MI. She is also survived by a host of other nieces and nephews. She is survived by her loving sisters-in-law, Pearline Green, Eunice (Carl) Henderson, Hermean Allen all of Hartford, Shirley (Robert) Gray of Bloomfield, Corrine Wallace, Willie B. Clayton of East St. Louis, IL and Erma (Dave) Cannon of Leland, MS, Lucile Pernell of FL. She was predeceased by a sister-in-law, Emma Walker. 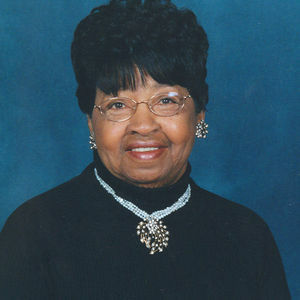 She was a member of Metropolitain A.M.E. Zion Church, Hartford, she served as President of the Usher Board #2 and the Deaconess Board and a member of the NAACP. Veola was employed by the City of Hartford School System and Annie Fisher School. Funeral services will be held Monday, May 22, 11 a.m., at Metropolitan A.M.E. Zion Church, 2051 Main St., Hartford. Burial will be in Mount St. Benedict Cemetery, Bloomfield. Her family will receive friends Monday from 10-11 a.m. at church. Memorial donations may be made to Friends and Family Day-2006, Metropolitan A.M.E. Zion Church, 2051 Main St., Hartford, CT 06120. Carmon Windsor Funeral Home has care of arrangements. To leave on-line condolences please visit www.carmonfuneralhome.com.